parkrun Limited is the company responsible for delivering parkrun in the UK. 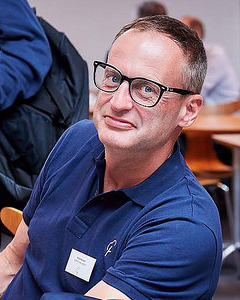 Rob has worked in sport for 25 years, first in Sport England, then at UK Athletics, and latterly as a consultant on sports projects of all sizes in the UK and around the world: from local development projects to world cups and international championships. Rob is the parent of three children who have grown up with junior parkrun, the youngest going seamlessly from crawling, to walking, to running after his brother and sister on a Sunday morning in Highbury Fields. Consequently, Rob has been volunteering regularly for the four years that Highbury junior parkrun has been taking place, and has seen it thrive and grow in that time into a local institution. Now that his eldest has graduated to running 5km, he can also be seen running with her and a reluctant dog at Ally Pally parkrun on a Saturday. He has recently been appointed a non-executive Director of parkrun UK Ltd, and is looking forward to bringing his industry experience and enthusiasm for the parkrun movement, to support the team in all their amazing work and be an advocate for their valuable contribution to the nation’s health and wellbeing. Hannah Corne joined the parkrun family in 2019, her home event is Roundhay parkrun in Leeds. After taking part in one of the very first parkrun events outside of London at Woodhouse Moor in Leeds in 2007, it then took her until 2014 to take part in another event! So far she has completed 147 runs and has volunteered 101 time. 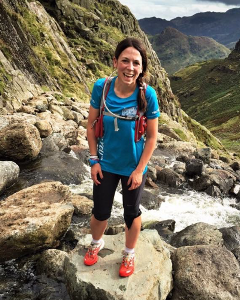 Hannah runs a small not for profit organisation where the aim is to empower and grow children’s confidence through mindful practises and running. They regularly use parkrun as part of their final programme challenges where the support is always superb. She has a passion for her community and immerses herself not only in her local community but also the wider community, trying to bring joy and positivity to everyone that she meets. 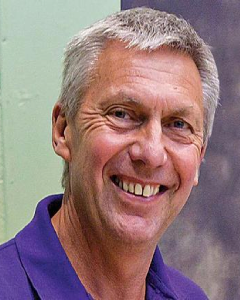 Dave Moorcroft is a former international athlete who has been involved in running at all levels for over fifty years. He was Chief Executive of UK Athletics from 1997 to 2007. He received an MBE in 1983 and an OBE in 1998 for services to British sport. In 2018 he became the Chair of the parkrun UK Board and with a team of Non Executive Directors supports the Executive team to help shape the exciting future of parkrun in this country. Dave ran his first parkrun at his home event in Coventry in 2010 and since then has spent most of his time limping from one injury to the next! Now though, he has a new knee and his running has a new lease of life. He has a passion for spreading the joys and benefits of running and volunteering to more and more people and to reach new and different communities across the UK. 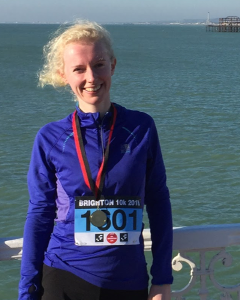 Rowena has been involved in parkrun for the last year, and is currently training for the London Marathon. She is a Marketing Director at a global professional services firm and has ten years’ experience of marketing, business development and communications. In her spare time, she is a mentor for a social enterprise. Rowena’s intention as Non-Executive Director is to help parkrun in identifying the obstacles that prevent people from trying out parkrun. She is interested in developing solutions to increase participation, especially from women and girls. 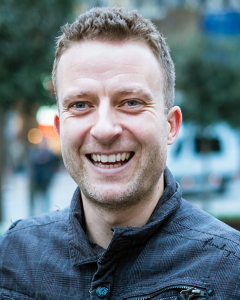 With 25 years’ experience in the sports industry and as the former Managing Director of the largest UK independent specialist sports retailer, Sweatshop, Nick Pearson is a passionate advocate of the running community. Through sporting initiatives such as Sweatshop Running Community, Nick has broken down the barriers to physical activity and encouraged thousands of newcomers into the running community. Nick joined parkrun in 2015 as Global Chief Executive Officer and leads the global parkrun team. He has responsibility for developing strategy and culture to create a sustainable business model. He is passionate about inclusion and equality and his ambition is for parkrun to make a greater impact in making more people healthier, particularly in areas of social deprivation. 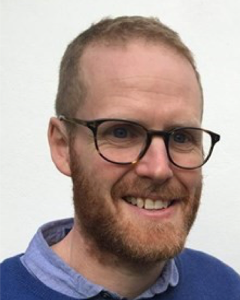 In 2007, when working as a lecturer in Sport and Exercise Science at the University of Leeds, Tom helped start Woodhouse Moor parkrun, at that time the 4th parkrun in the world and the 1st outside London. In 2011, he left the University to work full-time for parkrun, helping launch UK events, and is now Chief Operating Officer of parkrun Global. He is responsible for global development strategy and all operational processes across existing parkrun territories. parkrun Limited has the company number 07289574 and last year&apos;s accounts are available here. All parkruns are free but you should register in advance. Once registered with parkrun, you can participate in any of our events at any time without letting us know that you are coming. If you want to be a parkrunner, you only need to register once. All our events are organised by volunteers. Read about what volunteers do here. Clubs are very welcome to use parkruns to recruit new members – currently around 10% of parkrunners are attached to running clubs. parkrun encourages and publicises local clubs at parkrun events through links on the parkrun event website and in other ways. In our experience, the presence of a parkrun generates increased club membership in your local area. Please contact the local parkrun event to discuss. Organisers are welcome to publicise their races via our website and through publicity at events if local regulations allow and the event director is happy for them to do so. Experience shows that events attract more participants when promoted at local parkruns.